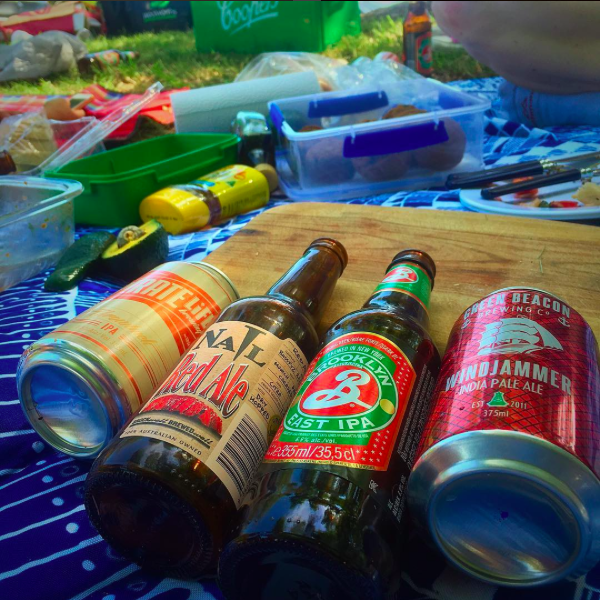 In my indisputable and infallible opinion, beerunch is best enjoyed as an outdoor picnic. In Brisbane, that means you may want to avoid November-February, so your food doesn’t all re-cook and your beer doesn’t boil while your sun-reddened skin audibly cracks. And you may want to avoid May-August, so your blood doesn’t freeze in a sub-20-degrees-celcius wintry gale. Spring and Autumn are the best times. As for time of day: brunch time is a little controversial, but as long as you’re eating an array of things that doesn’t quite fit either breakfast or lunch, and you’re eating more food for longer than you usually would, any starting time between 8:30 and 12 seems to work. I reckon 10am is perfect (as long as I’ve had a pre-brunch snack a couple of hours earlier). Somewhere outdoors and beautiful is the ideal. When you’re downing hash browns and IPA by the jewel-glistened river, or blueberry muffins and oatmeal stout beneath a jacaranda tree, you can’t help but feel that you’ve won some kind of life contest. My mum used to always tell me to ‘go outside’, like that would make me healthier. Beerunch proves her wrong. If you’re lucky enough to be in Brisbane, I recommend New Farm Park or one of the alcohol-friendly greens at South Bank. If you’re somewhere else, I can’t help you. I’m sure you can find some ghetto that’s more attractive than average near your location. Brunch is a confusing and spectacular meal. There seems to be little rhyme or reasons as to what foods are classified as ‘brunch foods’. If you’ve eaten it/heard of someone else eating it for breakfast or lunch ever before in history, it’s fair game. If you want some inspiration, you can always google ‘brunch recipes’. 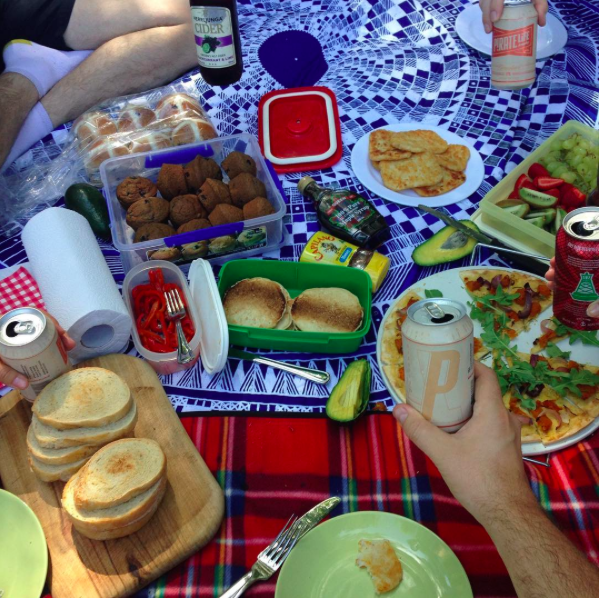 Some foods I’ve enjoyed at beerunch (in reverse alphabetical order, just for funsies): roast garlic potatoes, pancakes, olives, lemon poppyseed scones with jam, hot cross buns, hash browns, grilled capsicum, fruit platter, dolmades, bruschetta, brunch pumpkin pizza (?! ), breakfast quiche (?! ), blueberry muffins, bagels, avocado and warm bread. 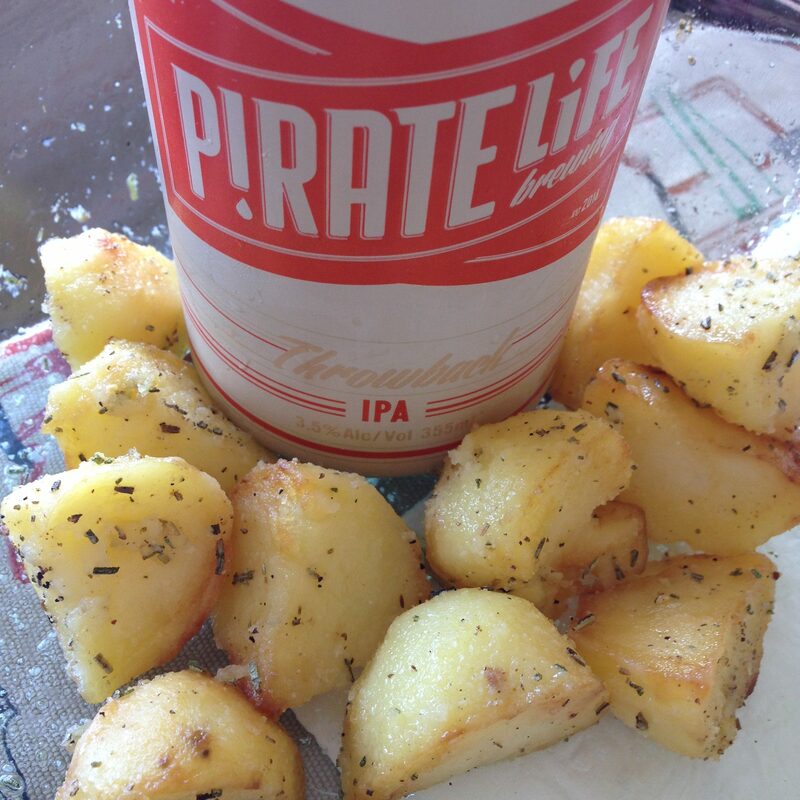 Potatoes & Pirate Life – two of my favourite ‘P’s. It would be completely improper to consume beer before midday. 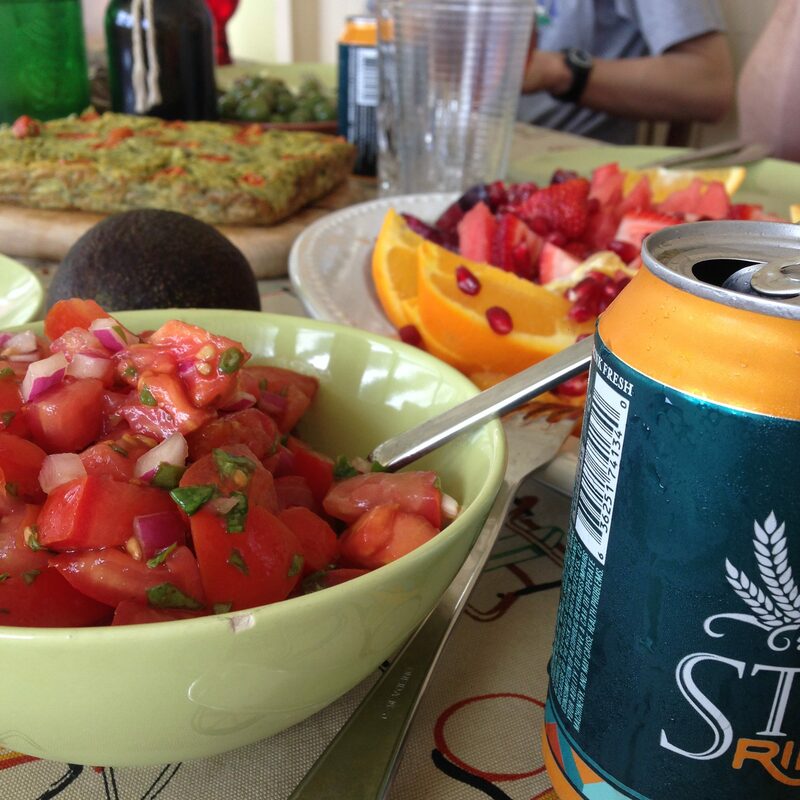 Unless, of course, the beer shared some properties of breakfast foods. In that case, it would almost be improper to NOT drink it before midday. An array of beerunch beverages. Oatmeal is a healthy breakfast choice. So an oatmeal stout is an appropriate breakfast beer. Wheat is used to make bread. Bread is a popular breakfast food. So wheat beer must be designed to be consumed for breakfast, right? 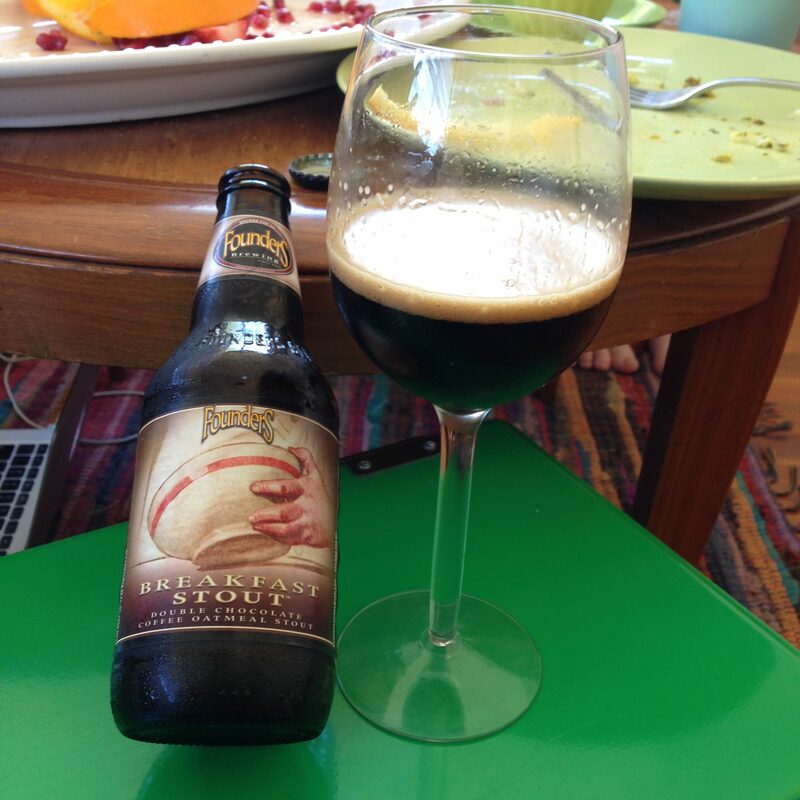 Coffee is arguably the most suitable breakfast beverage, so anything with coffee as an ingredient, or in the name, or in the tasting notes, makes a lot of sense as a beerunch beverage. And of course, some breweries are kind enough to go ahead and make a Breakfast Stout, to take all the guesswork out of it. Cheers, Founders. Breakfast Stout. It’s basically illegal not to drink this at beerunch. Having said all of this… some rules are made to be broken. If you feel like it, drink your salted caramel porter and your shiraz-barrel-aged barleywine. I won’t judge. I’ll just ask for an invitation. You’d think the answer would be, ‘Anyone you’d usually hang out and drink beer with’. But the sad reality is that some people are terrible company in the morning, and beer drinkers can loom large in this category. 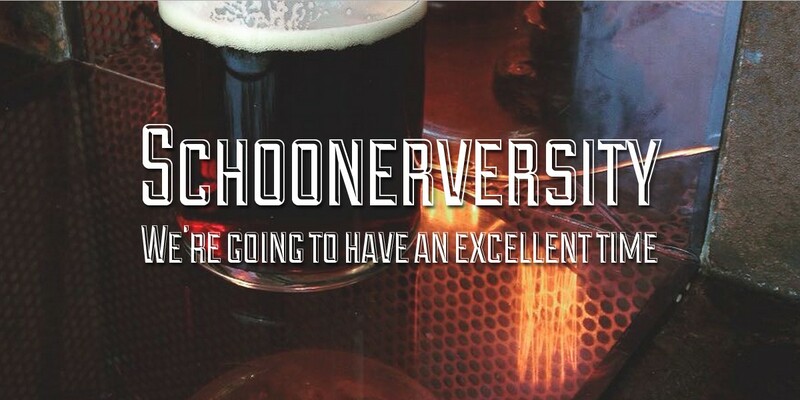 Try to figure out which of your friends a) love food, b) love good beer, and c) aren’t lame jerks before midday. Invite those ones. The ones who don’t mind if you take a little mid-meal-nap are especially good to have around. That’s really all you need to know to get a rockin’ beerunch off the ground. Throw in some funky jazz in the background, and maybe a frisbee or football for that weirdly energetic friend we all have, and you’re set. And look, if you reeeeeeally want to have beerunch, but you reeeeeeally feel too lazy to organise all of this… well, some good beer venues have a sweet spot from about 10am where they serve both beer and breakfast foods. In Brisbane, you could try Atticus Finch in Paddington or The Burrow in West End. Or head out to Fitz + Potts in Nundah, where they take beerunch so seriously that their brunch boards come with a pot of beer as standard. 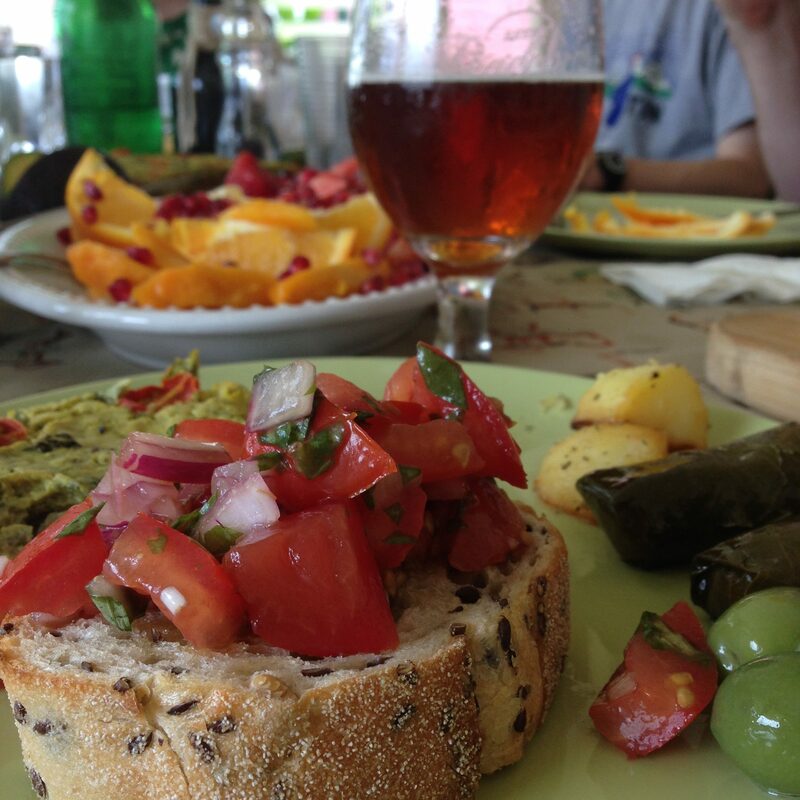 And remember: beerunch is only as nutritionally irresponsible as you make it. It’s up to you to stuff yourself with greasy, salty, sugary, boozy goodness. *If you don’t love brunch, you were conceived by the dark forces and I have nothing more to say to you.